Amir Eslami (Mirabadi) was born in Iran and immigrated to Vancouver in 2015. He studied at the Tehran University of Art, receiving a BA in music in 1996 and a MA in music composition in 2002. He later served as a faculty member at the university, including as Head of the Iranian Music Department and Dean of Administration for the Music Faculty. 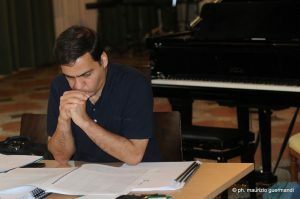 Amir has won multiple Iranian and international prizes (Italy, Australia and Netherlands) in music composition. He has released four music albums as a composer and more than ten music albums as a Ney (Persian Traditional Flute) player. His pieces have been performed in Iran, Italy, Australia, the US, the Netherlands and Canada. Amir recently teaches music in Vancouver in fields of music theory, sight singing, ear training, and music composition. 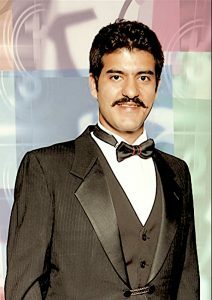 In addition, he is the head of music teachers in Vancouver Iranian Choir. Composer, conductor, vocalist and sound designer Taymaz Saba is inspired by the sounds of the nature and also classical composers Vivaldi, Beethoven, Bach, and film composers such as Nino Rota, Henry Mancini, Bernard Hermann and Ennio Morricone. Taymaz was born in Tehran and raised in an artistic family. He studied composition, conducting, and classical singing in France, England and Canada; finished his classical music diploma and conducting certificate at Capilano University and studied Digital Audio Production / sound engineering at Langara College in British Columbia. Travel to locations such as India to explore sound and music allowed him to experience Eastern musical pronunciation and texture first hand. He also has studied and worked in Iranian / Indian / African and Brazilian music traditions. While composing for film and television, he has written many choral pieces for church choirs and conducted different independent ensembles. Meanwhile he has also continued working in sound design / Foley / location sound and also voice teaching and voice actings. Mahtab Haghighi started learning music since the age of 10 with piano classes, and since the age of 16 with guitar and vocal classes. Mahtab has started learning jazz and pop techniques since 2005. Also, she has started classical vocal in Romanos Melikiyan collage and Yerevan State Conservatory with Professor Julieta Nazarian. She cooperated with Tehran opera ensemble to perform the Hansel and Gretel opera in role of Hansel. Also, she joined Dian Choir and Tehran Cultural Choir ensemble. Mahtab had several solo performances in Austria , Norway and Slovakia embassies in Iran. She has more than 10 years of experience in teaching piano to children and 7 years experience in teaching classical vocal and pop vocal. Now she is instructor in Vancouver Iranian Choir. 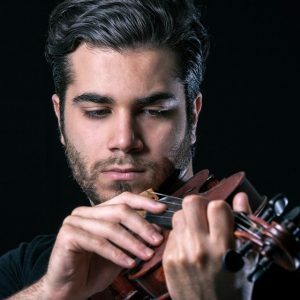 Sepeher Hojjaty was born in 1992; He started learning music and his first instrument violin at the age of 15. Only 2 years after he started learning harmony and orchestration from Mr. Kambiz Roshanravan. Currently he has written more than 25 pieces of music for Persian instruments, strings and piano. He currently is continuing his studies in the field of music at Capilano University, and he is learning composition with help of his new teacher Mr. Amir Eslami. Kiandokht Nouri was born in 1995 in Tehran, Iran and immigrated to Vancouver in 2016. She started music by practicing piano at the age of 6. She continued her secondary school education in “Tehran Music School” as a piano performer under supervision of Mr. Gagik Babayan. She has chosen Clarinet as her second instrument since she was 14. During her education she took participate in many solo performances and festivals. In 2011 she succeeded to achieve the third place in the First Classic Instruments Festival, by the Music House of Iran. 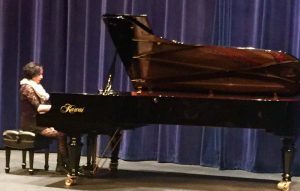 After achieving Music Diploma from her Music School in 2012, she continued her post-secondary education in University of Tehran, College of Fine arts in Classical Piano Performing. She did numerous instrumental and vocal accompaniments. Also, she cooperated as collaborative pianist in University of Tehran Choir and Orchestra. Besides, she have years of experiences in teaching piano to children and adults in several music training institutes. Kiandokht had several performances in different programs and festivals in Vancouver such as CDMF Performing Arts Festival. She currently is cooperating with Vancouver Iranian Choir as a pianist, peer tutor and teacher assistant. 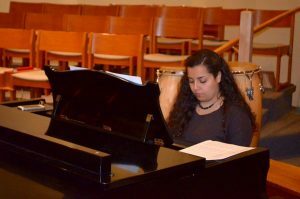 Negin Attar is a dedicated pianist and music teacher. She graduated from Capilano University music program and has years of experience as an accompanist for singers and instrumentalists in concerts, master classes and rehearsals. She is always passionate to grow with new experiences. 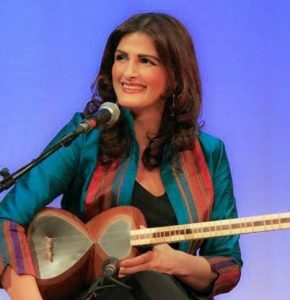 Maryam Soroushnasab is a Tar and Setar player. She got BA in music from Tehran Art University. Her latest album, “Reyhan”, performed by vocalist “Mohsen keramati”, will be published in Tehran in 2016. She got certificates in teaching Orff music to children from Pars institute in Tehran and Motzarteom University of Salzburg, Austria. She teaches Tar and Setar in Vancouver. Also, she teaches Orff music to children. “Azeri Dances”, a repertoire by Amir Mirabadi, was performed by Maraym as a Tar soloist and Ambelside Symphony Orchestra on April 1st 2016 (Persian New Year). She is one the teachers in Vancouver Iranian Choir.